This state-of-the-art reverse interlinear. New Testament shows the English as the top-line entry, with the Greek text underneath it instead of the usual opposite arrangement of the text. ESV Reverse Interlinear New Testament: ESV English - Greek by John Schwandt and C. John Collins was published by Crossway in November 2004 and is our 23132nd best seller. 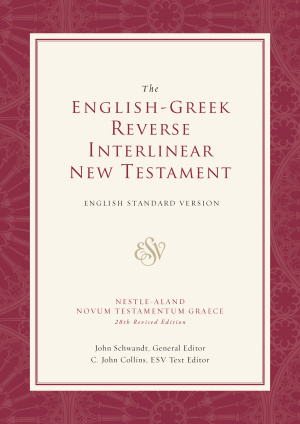 The ISBN for ESV Reverse Interlinear New Testament: ESV English - Greek is 9781581346282. 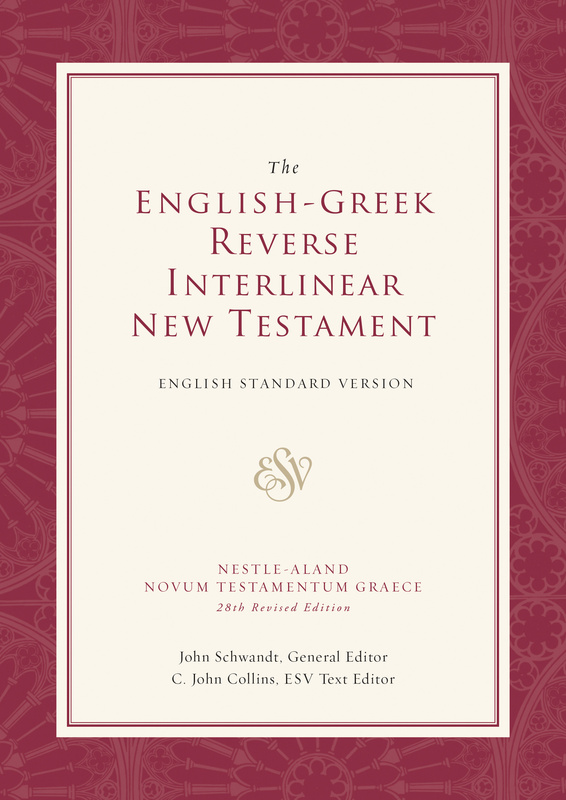 Be the first to review ESV Reverse Interlinear New Testament: ESV English - Greek ! Got a question? No problem! Just click here to ask us about ESV Reverse Interlinear New Testament: ESV English - Greek . What does the Reverse Interlinear New Testament include please?